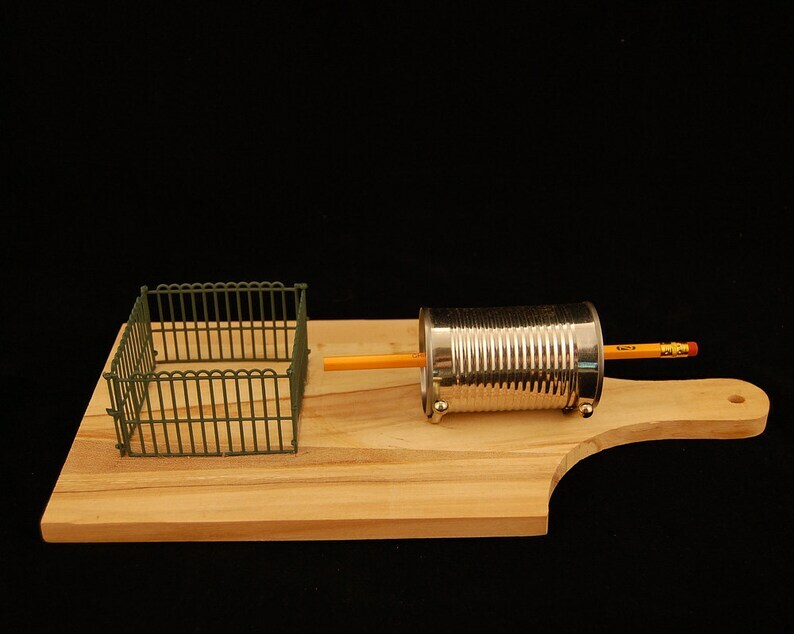 ArtParts: Plastic army set fencing, pencil, wood cutting board, all from 99cent stores, tomato paste can. Shipping note: USPS flat rate box to USA addresses only. Sorry about postal limitations.